Following is an excerpt from our much larger essay entitled: Evidences for the Obligation of a Muslim Woman’s Headscarf (Khimar) & Outer Garment (Jilbaab). Today, the idea of covering the head for women has become associated exclusively with Islam. It is seen as something which is derogatory and only practiced within Islam. However, throughout history many other civilizations also practiced this concept in one form or another. It is only post-Renaissance that this action has gradually become abandoned among women. In France, from 1485-1510, covering the head was a show of virtue and honor. In fact, “married women’s headdresses completely concealed their hair through most of the second half of the 15th century” (Leventon 2008, 102). In England, the practice of “completely covering the woman’s head was wholeheartedly adopted” (Leventon 2008, 316). Up until the late 13th century, it was considered immoral and shocking to wear a hairnet alone without some sort of ribbon or barbette around the head to go along with it, in addition, some women also wore veils (Cosgrave 2000, 113). In Italy, “women often wore turbans” throughout the 15th and 16th centuries (Cosgrave 2000, 140). In some orders, during this period, female widows wore “head-rail covering the hair, ears and neck” in addition to a veil during daytime (Boucher 1966, 187). The only thing changed this was the Renaissance in northern Europe when women started to show “occasional glimpse of hair” (Leventon 2008, 102). 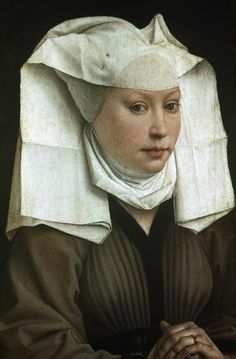 Hence, some form of covering the head for women was seen as appropriate for most European cultures until the Renaissance. This was especially true for married women. This phenomenon is not restricted to the middle ages in Europe. It is well known that Roman women were “customarily veiled” when they went outside the house (Leventon 2008, 314). In Classical Greece, women wore scarves wrapped around their heads (Cosgrave 2000, 53). 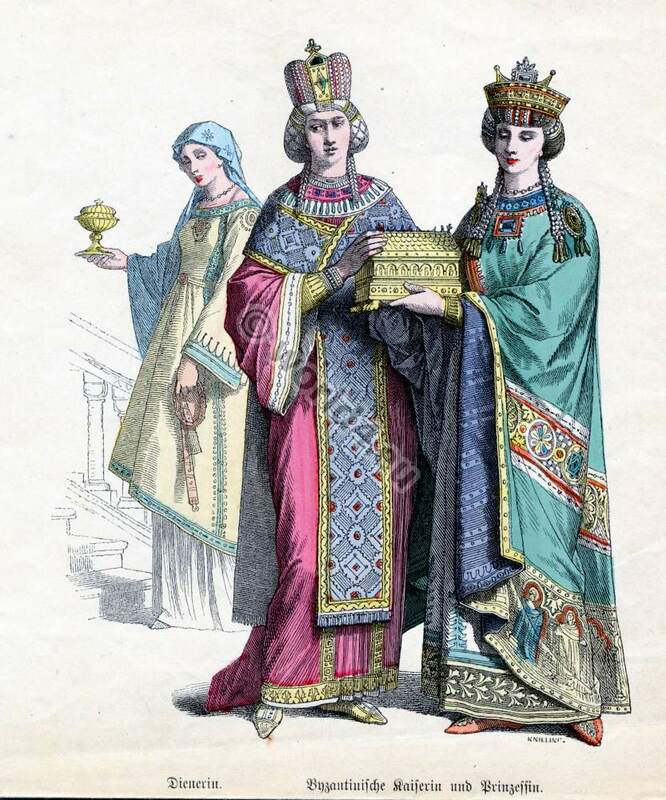 During the Byzantine period, men and women both wore clothes which concealed the body’s shape, in fact, there was an obsession with it (Cosgrave 2000, 86-87). It is important to note that the Byzantine Empire was a superpower before and during the initial stages of Islam. Some of their fashions may have been adopted by Arab women at the time in the Arabian peninsula. For example, it is reported about the Byzantine women that some of them “wore veils made from a long piece of material which could be allowed to fall behind the head, or folded forward and draped over the arm” (Cosgrave 2000, 86-87). This is not much different than what Arab women used to do before the verses of covering came down as mentioned earlier. We can go back even further and find women covering their heads as norms. During the second and third millennia BCE, in the coastal countries (Mesopotamia, Arabia, Syria), married women wore “very enveloping veils” and in the first millennium BCE women wore veils covering their heads (Boucher 1966, 56). Women from the Hittites people, who occupied the region of Anatolia (also known as Asia Minor, modern-day Turkey) prior to 1700 BCE, wore long veils which they would sometimes draw forward to cover their faces (Boucher 1966, 64). In the Iberian Peninsula, during the 6th and 5th centuries, some women wore long veils that covered them from head to feet while others wore short veils (Boucher 1966, 131). In France, during the Carolingians era (752-987 CE), women “for the sake of respectability they had to cover their heads with veils…draped like a turban” (Boucher 1966, 160-161). In Central and Western Europe from the 9th to 11th centuries, women still covered their heads and concealed their hair under a veil (Boucher 1966, 172). As for religious covering in other than Islam, then historically Christian and Jewish women have covered their heads. In the 3rd century CE, Jewish women are reported to be covering all the time and Tertulian (155-240 CE), an early Christian author, encouraged Christian women to veil themselves outside and used Jewish women as examples (Boucher 1966, 58). The book Dress in the Middle Ages states that Jewish women “were strictly obliged to veil their heads in all circumstances” (Piponnier & Mane 1997, 121). 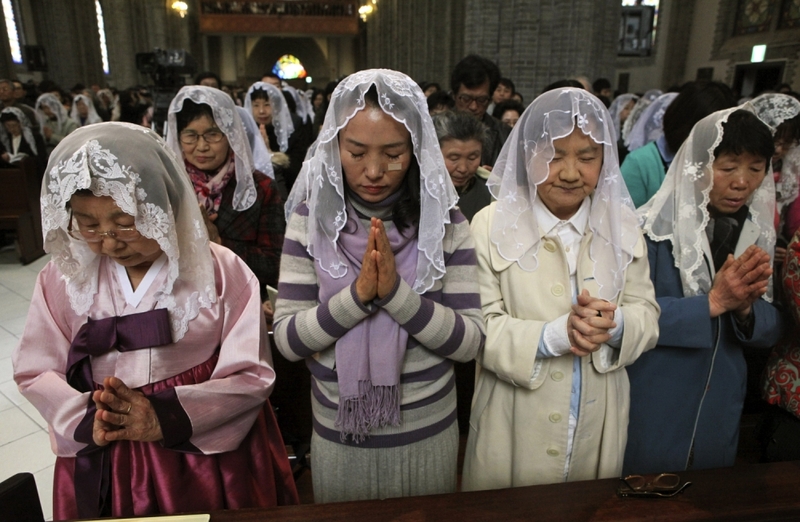 The phenomenon of Christian women covering their heads in Church is well known throughout history even as late as the 20th century and is still practiced today in eastern churches. They did so in response to the Biblical verse, “But every woman who prays or prophesies with her head uncovered dishonors her head—it is the same as having her head shaved” (1 Corinthians 11:5). There is much debate in Christian circles whether this refers to covering only in church or anytime a woman is in public. 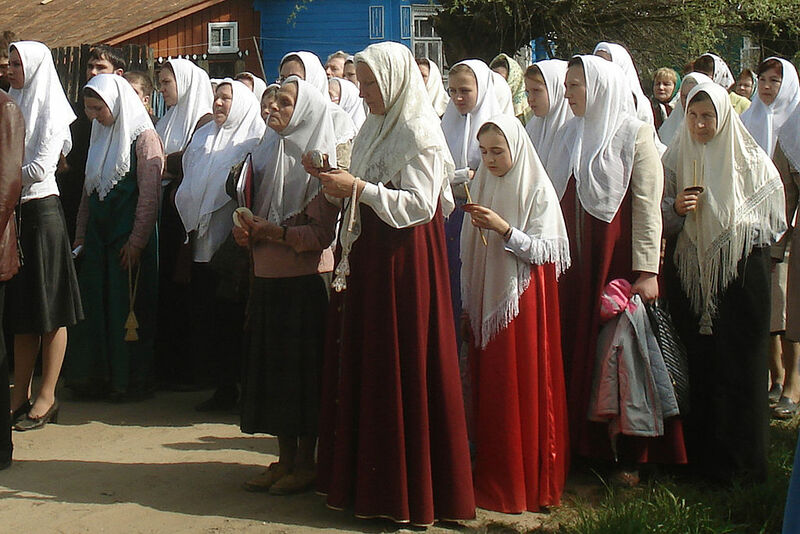 However, today among the Christian community only the Mennonite, Amish, Brethren and Hutterite women still practice wearing a head covering at all times. From all of the above, it is quite clear that covering of the head is not something exclusive to Islam, rather, many religions, cultures, and civilizations throughout history have had some form of covering for women’s heads. Some societies emphasized it stronger than others. However, in modern times, the practice is largely abandoned by women across the world. Boucher, F., 1966. 20,000 Years of Fashion : The History of Costume and Personal Adornment, New York: Harry N. Abrams. Cosgrave, B., 2000. The Complete History of Costume & Fashion : From Ancient Egypt to the Present Day, New York: Checkmark Books. Leventon, M., 2008. What People Wore When : A Complete Illustrated History of Costume From Ancient Times to the Nineteenth Century For Every Level of Society 1st ed., New York: St. Martin’s Griffin. Piponnier, F. & Mane, P., 1997. Dress in the Middle Ages, New Haven: Yale University Press. 6 Comments on "Covering the Head for Women in Traditions Other Than Islam"
Salam can you put a reblog button under this post so i can reblog it to my sight? Wa Salam. Ok, I have put it there. Thanks. beautiful blog, educational too. BTW Jewish Orthodox married women still cover their hair today. Shalom and thanks, I’m glad you liked it! Reblogged this on Islam In Indonesia.